Cramer & Anderson joins New Milford VNA & Hospice and VNA Home Inc. in co-hosting the Greater New Milford Chamber of Commerce’s next Business Scene on Thursday, Jan. 18, at the 1st and 10 Sports Bar & Grill in New Milford. The informal networking event for business people in the Greater New Milford area is free and open to the public. 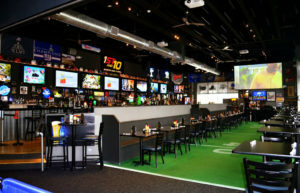 The Business Scene runs from 5:30 to 7:30 p.m. at the 1st and 10 Sports Bar & Grill, located at 507 Danbury Road in New Milford. For further information, email the Chamber at nmcc@newmilford-chamber.com. Cramer & Anderson Associate Abigail Miranda joined the Board of Directors of the Greater New Milford Chamber of Commerce in September 2017. Last spring, Partner D. Randall DiBella was named to the Board of Directors of New Milford VNA & Hospice. The nonprofit health care agency is dedicated to providing quality home care, hospice and public health services to residents of Greater New Milford. 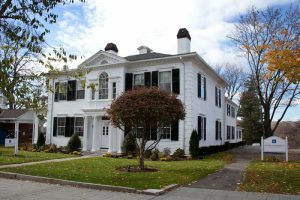 Cramer & Anderson has offices in New Milford, Danbury, Litchfield, Kent, Washington Depot, and a new office in Ridgefield.